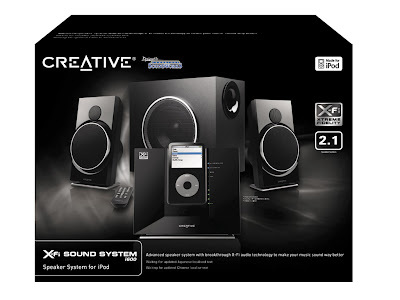 On 09/05/2007, we saw this on Creative Singapore website, the popular X-Fi Sound System i600 for Apple iPod is out of stock! See photo above, yes, your eyes are not playing tricks on you, it is selling like hot cakes, at least for this day in Singapore, it is. Apple iPod's competitor has joined the Made-For-iPod program and is now making iPod accessories and speakers. The i600 is compatible with iPod Nano, iPod Video and iPod Mini. 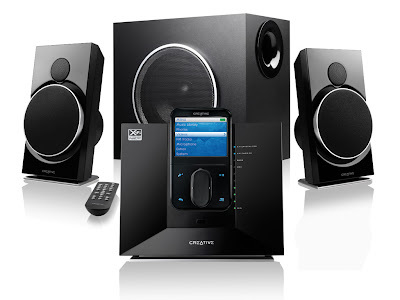 The Creative X-Fi Sound System i600 is a high-power 2.1 speaker system designed to seamlessly integrate and dock with iPod players. It offers the purest sonic fidelity available for PC desktop, notebook or in a living room setting. 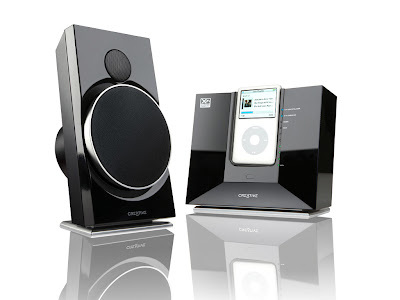 Designed to be the premier hi-fi system of the digital media revolution for homes or desktops, this is the first speaker system for iPod players. Now iPod lovers can also experience high fidelity music with Creative’s award-winning X-Fi technology. 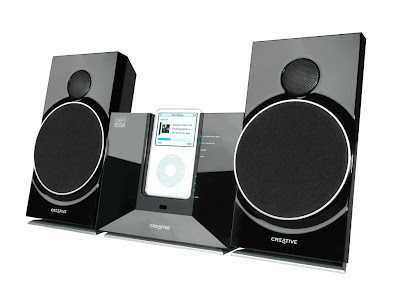 Dock your favorite iPod with the X-Fi Sound System i600 and transform it into a hi-fi entertainment system. It even charges your player, so you are always ready to take your tunes along with you. 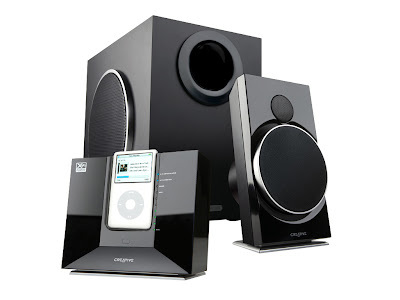 High performance 2-way satellite speakers, each with a large 3.5" driver and soft dome tweeter. 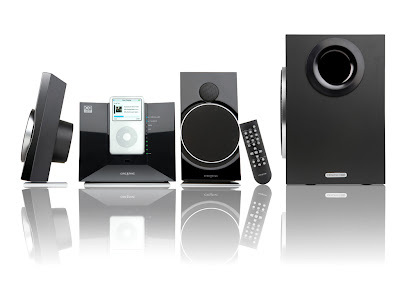 Seamless mid-range and smooth high frequencies bring you the ultimate audio performance. Designed to take your iPod to the next level of audio nirvana, the gloss black X-Fi Sound System i600 is an easy one-stop solution for even better audio. The i600 Sound System also comes in version known as Z600 Sound System for Creative very own Zen Vision M.
Click here to experience X-Fi!